I feel stupid not writing about this album sooner. It was the first thing I heard this year that I got really passionate about listening to. The naming of the album is well-chosen. There is a very primal edge to Jonathan Meiburg’s vocals that sells the feel of the album. It’s decidedly dark in places, with aggressively slammed piano parts on tracks that build from dirge-like pacing on ‘Insolence’, or the throaty howl of the chorus on ‘Breaking of the Yearlings’, but soars brilliantly on tracks like ‘Animal Life’ and ‘You As You Were‘. The anxious tempo of the piano and the kickdrum thrusts us through the seasonal imagery provided by the lyrics, the energy behind the it building all the time to the finishing iterations of “I’m leaving the life.” It’s the kind of song that makes you want to go out and just… achieve something. 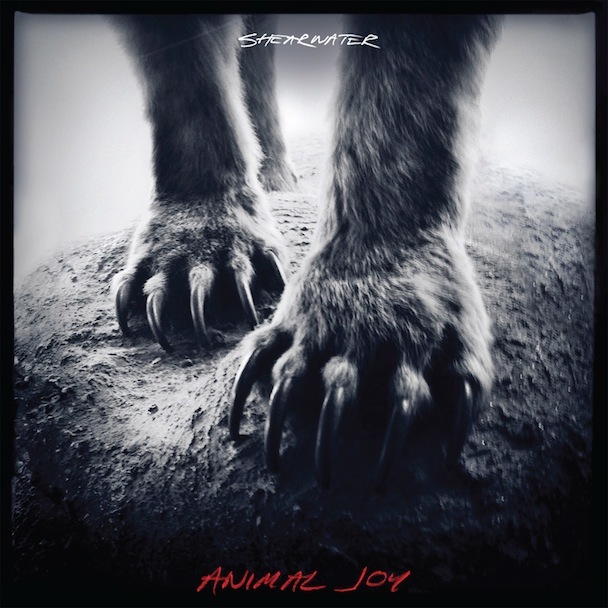 I’m unfamiliar with any of Shearwater’s past work, though I’ve read Animal Life is something of a departure. I’ll say this: it suits them. The best point of departure I could think of would be maybe Mumford and Sons…? In that they have that underlying Appalachian-foothills-desperation thing going on in places, sure, but their big epic songs are cut from a completely different cloth. There is a surprising lack of cohesion between the tracks. ‘You As You Were’ abruptly ends, leading to the super-slow ‘Insolence’, which itself dumps you right into the guitar-shredding ‘Immaculate’, having the effect of someone punching the gas and the break at song-length intervals. Normally this sort of things bugs me, but the songs are all so interesting, and the constant discrete alteration of pacing keeps you from getting to complacent in your listening. I think everyone will probably have a different take on Animal Joy as far as where the best tracks are. What there should be little disagreement about is that it’s a moody, emotive record that unifies a panoply of styles into a brilliant album of music.